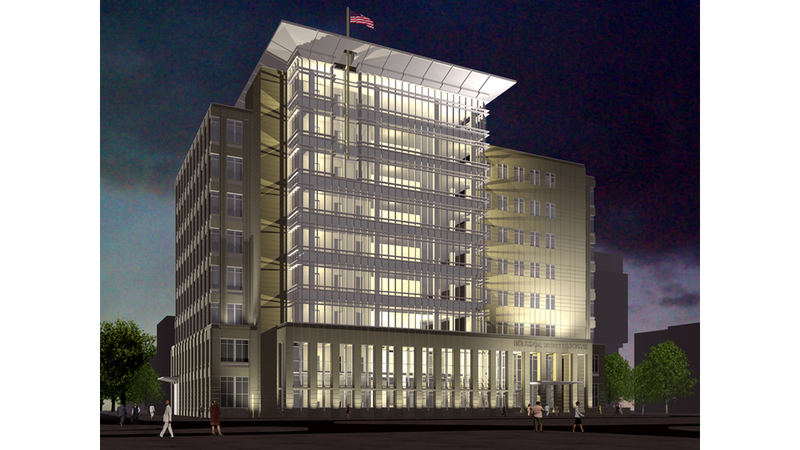 This new home for the LA 19th Judicial District will be a dignified and fully-secure facility. 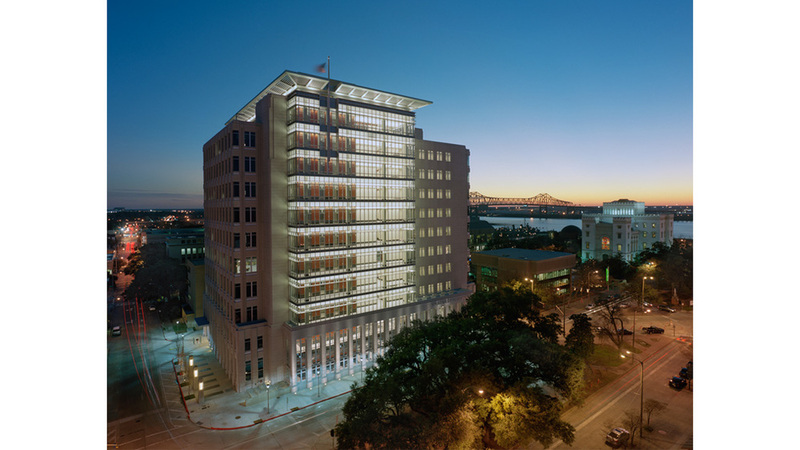 The project, designed with KPS Group, Inc., includes nearly 350,000 sf of courtrooms, judges' chambers, administration and clerk of court space. 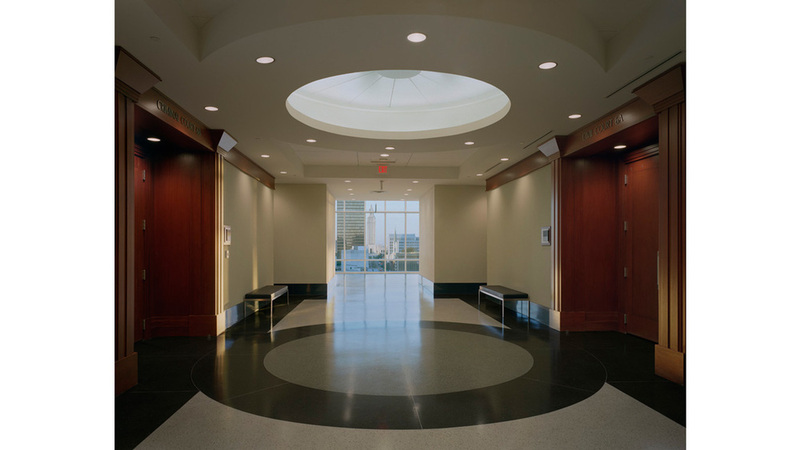 While providing separate and secure circulation for the judges, public, and prisoners, the design responds to a circulation-driven internal symmetry and its prominent siting, opposite the state capitol. It takes advantage of its unique urban setting and is distinctive yet respectful of its civic neighbors.